Did I mention Turmeric yet? Perhaps not. Since watching a recent ‘Trust Me I’m a Doctor‘ episode, I have been inspired to include more turmeric in our diet. In a really interesting piece of research, it was discovered that eating turmeric has effects on the methylation of DNA that are not achieved by taking supplements. It is hoped that this helps to unravel some of the negative changes that may occur, and in particular may help reduce our risk of cancer. The use of heat, and the addition of oil and black pepper helps to increase the bio-availability of turmeric, so the ideal way of adding it to our diet is to make a curry! 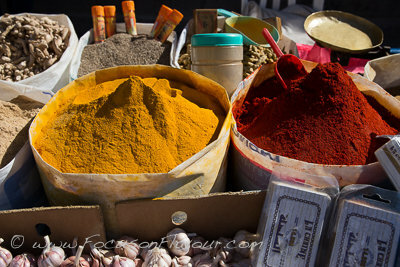 But actually, you can use turmeric in many different kinds of dishes and even in desserts. An easy way to increase your use of it is to make Golden Paste – you cook turmeric powder in hot water and then add in coconut oil (or olive oil) and freshly ground black pepper. I’ve been experimenting with ways of using this. I’ve added it to bolognese sauce, stir fries, braised vegetables, in fact almost anything savoury can take the addition of some. We often start the day with some greek style yoghurt, with half a tsp of golden paste added in, some chopped fresh figs (which are abundant at the moment in our garden) and topped with chopped toasted hazelnuts. I also discovered that banana fried in butter with golden paste, honey and lime juice is amazing! For added spice benefits, I served it with fromage blanc mixed with ground cinnamon and decorated with lime zest. Turmeric is often used as an inexpensive substitute for saffron, as it gives a strong yellow colour – the flavour is quite different, but it does tend to work agreeably with the same food partners. Here is my variation of an Ottolenghi dish. 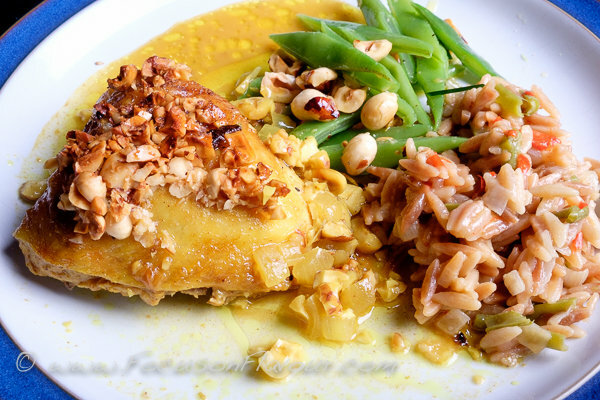 Roast Chicken with Turmeric, Hazlenuts and Honey. A comforting family meal or an exotic dinner party dish, the delicate spicy flavours and tantalisingly crunchy topping make this easy dish a winner. 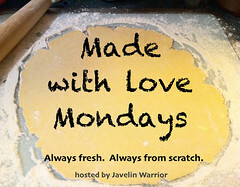 In an ovenproof dish, mix the onion, spices, oil, lemon juice, water and seasoning. Marinade the chicken pieces in the mix for at least an hour, or overnight in the fridge. Bake the chicken for 35 minutes on a middle shelf. 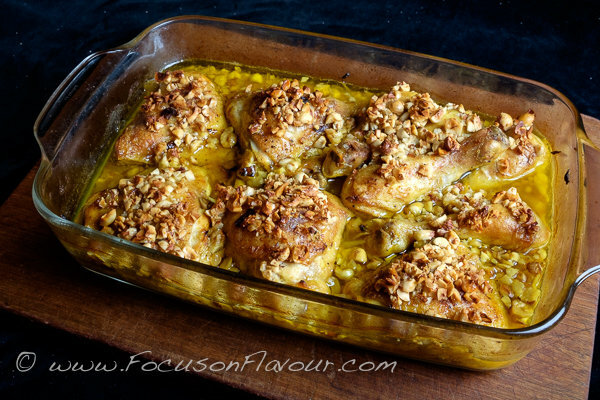 While the chicken is cooking, spread the hazelnuts onto a baking tray and toast in the oven on a top shelf for about 8 to 10 minutes, until lightly golden. Allow the nuts to cool for a little, then rub in a clean cloth to remove the skins. Chop the nuts roughly and mix with the honey and flower water to make a rough paste. Remove the chicken and spread with the nut paste. Cook for a further 5 - 10 minutes, until the nuts are nicely browned. See the link on this page for the method for making golden paste. Alternatively you can use a good pinch of saffron strands. I used orange flower water, but rosewater would be more authentic. I served this with Green Beans with Hazelnuts and Orange (from The Cookbook by Ottolenghi) and Orzo (langues des oiseaux) pasta with vegetables.